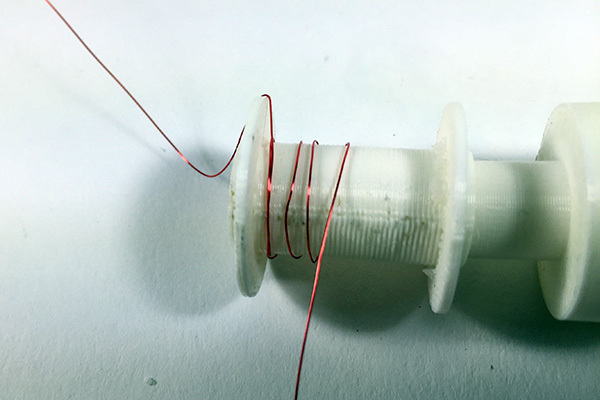 In the second make activity, students construct a solenoid consisting of a 3D printed tube and enameled copper wire. This activity can serve as a great introduction to computer-aided design (CAD) and computer-aided manufacturing (CAM). 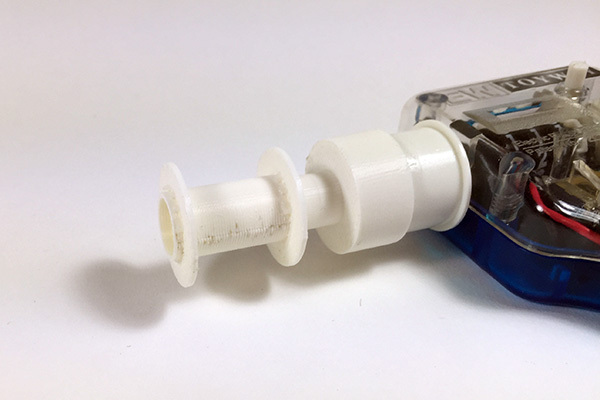 Students may design a 3D tube following design specification and fabricate the object using a 3D printer. Conversely, teachers or students can use the 3D model in the teacher guide to fabricate parts ahead of time. Regardless, students will use their solenoid to explore the properties of electromagnetism. See Invention Kit Inventory for materials and sourcing information. 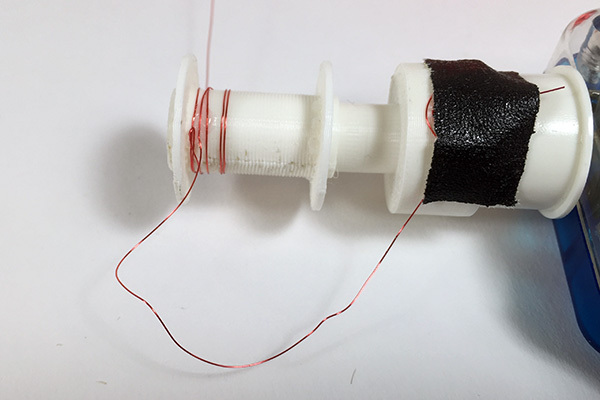 Begin by placing the winder adapter on the winder, and then place the solenoid tube on the adapter. 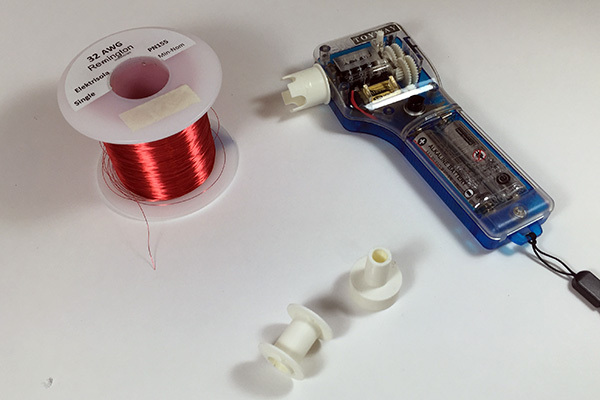 Begin by wrapping the wire around the solenoid tube several times. Make sure to leave a 10cm tail hanging off the tube. Apply a small amount of super glue to the wire and tube and let it set for a minute. Then wrap the 10cm tail up in a small coil and tape it on the side of the adapter. This will make the wrapping activity easier and prevent the tail from being wrapped around the coil. Wrap the solenoid 1000 turns. The winder has a mechanical counter on the side that will show you the number of turns you have made. 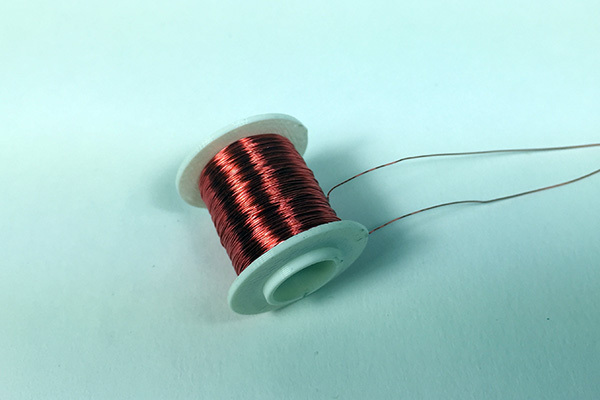 Try to wrap the coil as evenly as you can, as this will make a better solenoid. When you are finished wrapping, leave a 10cm tail on the end again, and apply a small amount of super glue over the entire coil wire. This will help keep everything in place, and prevent the wire from unspooling.